A penny saved is a penny earned, which is why I’m always looking for creative ways to save money when I can. And while some people take this to the extreme (have you ever watched an episode of Extreme Cheapskates?) you don’t have to be reusing your dental floss (gag) or only flush the toilet once per week (gag and vomit) to save money. There are lots of ways to save money that anyone can do. Some of these will save you a lot, some will save you a little, but it all adds up over time. I recently put the call out to some of my friends and family to find out some of the out of the ordinary ways they save money. I got lots of responses, with some ideas I’d never thought of before, and some that I also do. 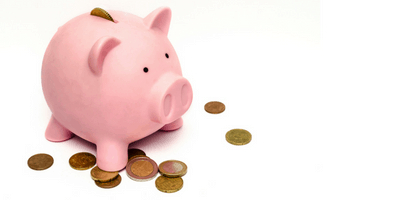 Here are some of the best ways to save money that you might not have thought of. This might seem like something that a person on Extreme Cheapskates would do. But I don’t meant that you should be setting the time for 20 seconds, jumping in an ice-cold shower and washing yourself at a frantic pace. However, if you’re the type of person who has a tendency to take 20-minute showers or shower until the water runs cold, then setting a bathroom timer can be a good way to get your showering habits under control. I used to have a problem with eczema on my hands, and my dermatologist recommended that I keep my showers to around 2-3 minutes duration and keep the water temperature lukewarm. And how many times have you gone to the mall to buy just one thing and end up coming home with multiple bags of other “bargains” you’ve found, or items you just couldn’t walk past? One of the best ways to avoid this is to stop shopping in person, and stop going to the mall just to browse. Shopping online is convenient, it makes comparison shopping a lot easier, it reduces the chance that you’ll spot something else that you “need” and you’ll also save money on gas. On the subject shopping, there are a number of cashback sites you can join for free that will help you save even more money. For grocery shopping, the best cashback app is called Ibotta. Ibotta is a free app that gives you cashback on thousands of items, including groceries, toiletries and more. All you have to do is add the offers to your Ibotta list, scan your barcode and snap a photo of your receipt. It takes 2 minutes and then the cash will be in your account within 24 hours. Download Ibotta here and get a bonus $10 after you claim your first cashback offer. For everything else, the best cashback site is Ebates. Ebates has a huge variety of coupon codes that you can use to save money online, but the best feature is that they give you a percentage of cashback for your online purchases. All you have to do is go to Ebates and then click on the link to the store you want to shop at. Ebates will track your purchase and deposit cash back into your Ebates account, then send you a check every 3 months. Join Ebates for free here and get a bonus $10 gift card after you get your first rebate. All of those promotional emails that end up in your “Promotions” tab in gmail are there for one reason – to get you to spend more money. And while some of these emails can have great coupons and specials, it can be really tempting to buy things you don’t need just because you saw an email pop up in your inbox. Subscribing from these promotional emails will take away the temptation. Instead, you can just check Ebates for specials (and get cashback) before you shop. My family in Australia introduced me to the Entertainment Book. I originally thought it was just an Australian thing, so I made sure to take advantage of as many of the deals and offers as I could during my recent time in Australia. When I got back home, I googled Entertainment Book and discovered that it was also available her in the states! The Entertainment Book is jam-packed with specials for restaurants, activities and attractions, movie tickets, travel, retail services and more. It can really save you a lot of money! This is something that a friend of mine suggested, and I completely agree with. If you follow any influencers or celebrities on Instagram, you’ll notice that the majority of them regularly post pictures of their newest car, the latest pair of running shoes they bought, their new designer handbag, their fancy manicure, etc. I recommend unfollowing anyone who makes you feel like you need to buy certain items/look a certain way. If you’ve ever forgot to pay a bill, you’ll know about the big, ugly late fee that normally accompanies your next notice. If you’re prone to forgetting to pay your bills on time, one of the best ways to avoid those late fees is to set up a direct debit. Auto-paying your bills ensures that they are always paid on time, no matter if life gets in the way. An Amazon Prime Subscription has more cost-saving benefits than you might be aware of. For starters, you’ll get free 2-day shipping on all of your Amazon orders, so if you’re a regular Amazon shopper, a prime membership is worth it just for that benefit alone. Get you free Amazon Prime 30-day trial. If you’re the type of person who leaves lights on around the house, forgets to unplug appliances, etc., then you’re most likely overspending on your electric bill. I was exactly the same before I became a mom, but by following these tips, I was able to decrease my utility bill by half. This amounted to a fair bit of extra money in my pocket every few months! We all know the importance of maintaining a good level of physical fitness, and working with a personal trainer is an excellent way to achieve that. I completely believe that a good personal trainer is worth every penny and more, however, for a lot of people, a personal trainer is just out of the budget. A good alternative is a virtual personal trainer, like Aaptiv. Aaptiv is a workout app that features hundreds of awesome workouts, with everything from running to yoga to weight training to cycling (and more) included. But the best feature is that everything is set to music, and you have your own personal trainer that encourages you through your headphones during your workouts. Aaptiv only costs just over $8/month, so a lot less than a personal trainer, and a great option if you want to stay in shape and cut costs at the same time. You can get a free 30-day trial of Aaptiv here. This money saving tip might be considered to be extreme, but it’s actually something that I did recently. At the beginning of 2017, we downsized our home by half. We sold and donated probably around 75% of our possessions, moved into a house that had one less bathroom, one less bedroom, no bonus room and less than half the square footage. After spending a year in our smaller house, we have saved money on everything from utilities to furnishings, and we feel much happier in general. My sister is the queen of winning competitions online – she is what’s known as a “comper” and has won everything from vacations and cash to jewelry and a years supply of chocolate for her and a friend. Winning competitions online has helped her save a lot of money, particularly on entertainment. She is always winning concert and movie tickets, so her entertainment budget is basically $0 now. I’ve never really gotten into comping in a big way, but I do enter competitions every now and then. My most recent wins were a $150 gift voucher to a fancy Italian restaurant, a huge gift basket full of goodies, and a photography session for my son and I. Those three wins alone were worth over $850. Habits like smoking and excessive drinking are not only bad for your health, they’re also bad for your wallet. The amount of money you’ll save by quitting smoking, for example, will obviously vary based on how many cigarettes you smoke per day, and how much you pay per packet, but you’re looking at tens of thousands of dollars over the course of 20 years. There’s a handy calculator on Smokefree.gov which will calculate approximately how much money you’ll save by quitting smoking. Buying gently used clothes from thrift stores can save you a lot of money, especially on kids clothes. All moms know how fast kids grow out of their clothes, and how they always manage to get stains and rips in their clothes, no matter what it is they’re doing! There’s bound to be a least a few local thrift stores near you, but if you’d prefer to shop online for gently used clothing, one of my favorite places to shop is ThredUp. I’ve been buying gently used, name-brand clothes from ThredUp for years now, and I’ve always been impressed with the quality, selection and price. Just recently, I got a Ralph Lauren hoodie for my son from ThredUp, which I paid just $6 for. It looks like it’s brand new! Would you like $10 to spend at ThredUp? Click here to join ThredUp and get $10 to spend. If you’re an Amazon Prime member, you get unlimited free cloud storage. I was excited to learn this because previously I had been paying for cloud storage, or putting things on an external hard drive. I’m still using the external hard drive (because I like having an extra backup) but the cloud storage is definitely something to take advantage of if you have Amazon Prime. 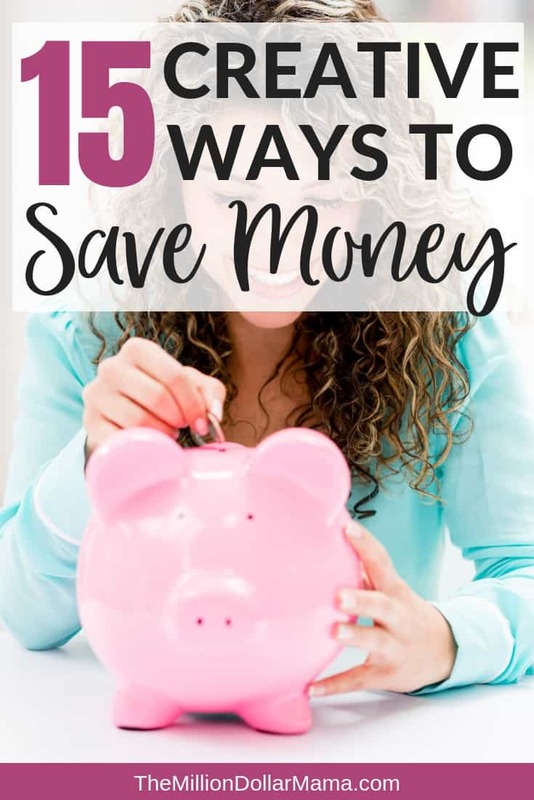 As you can see, saving money doesn’t have to mean dumpster diving or washing and reusing paper towels – there are lots of out of the ordinary ways to save money.